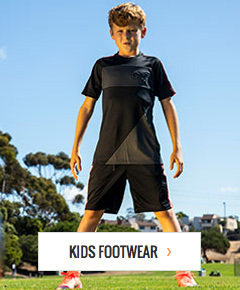 soccerloco is the premiere source for soccer training equipment. Coaches will find everything they need to train their team including speed ladders, goals and the highest quality soccer balls. Get all the essentials like whistles and goal books to keep track of scores and individual player performance throughout the season. When things get rough, you’ll need a taping kit to quickly handle those aches and sprains. We make it easy to find all the gear you need with low-cost flat-rate shipping and hassle-free returns. If you have any questions, use our chat option or call toll-free at (877) 544-3456 to speak with a soccerloco expert.